There are 3 types of palettes: Information palette, Effect palette, and Marker palette. You can view the information on clips placed on the timeline or adjust the applied effects. Display the information of the clip placed on the timeline. 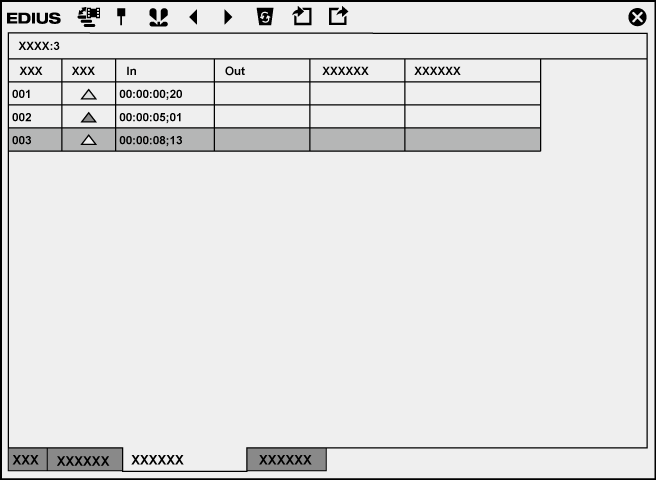 Display information on the set effects and set whether to apply effects or the order. Configure the video layout if a clip has a video part. Display information such as the file name, duration, and color space. The displayed contents differ depending on the object selected on the timeline. 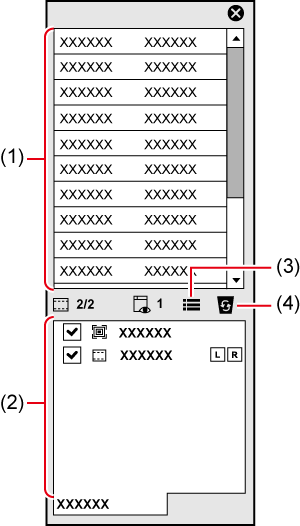 Display applied effects in a list. Also register the set effects as a preset. For a clip with video part, [Layouter] is always displayed. Display a settings dialog box to adjust each effect or the [Layouter] dialog box. Delete the effect. [Layouter] items cannot be deleted. Effects are used to adjust the brightness and color of images, add special effects, and create composite videos. Video or audio effects to add to clips are registered. Register or delete customized effect. Display the effect folder in tree structure. 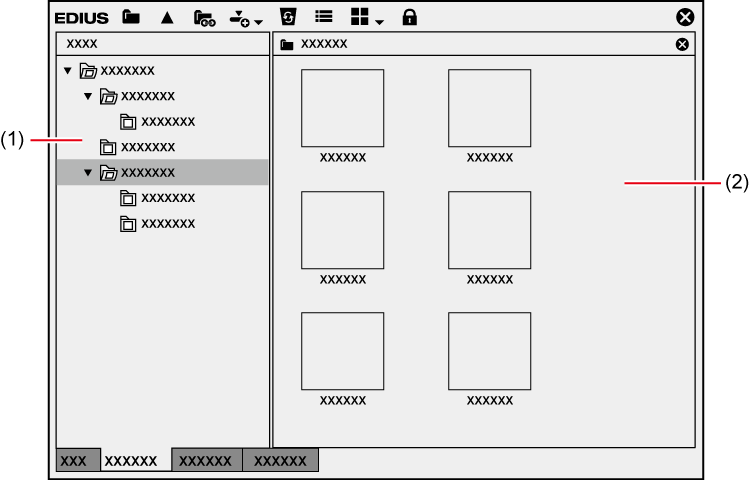 Display the contents of effects in the selected folder. If an effect with animation is selected, the animation is displayed. Manage the sequence markers appended to the timeline and clip markers appended to a clip. The [Sequence Marker] and [Clip Marker] lists can be switched by clicking the button. Set and delete a sequence marker. Jump to a desired sequence marker or add comments. Import or export a sequence marker list. Set and delete a clip marker. Jump to a desired clip marker or add comments. 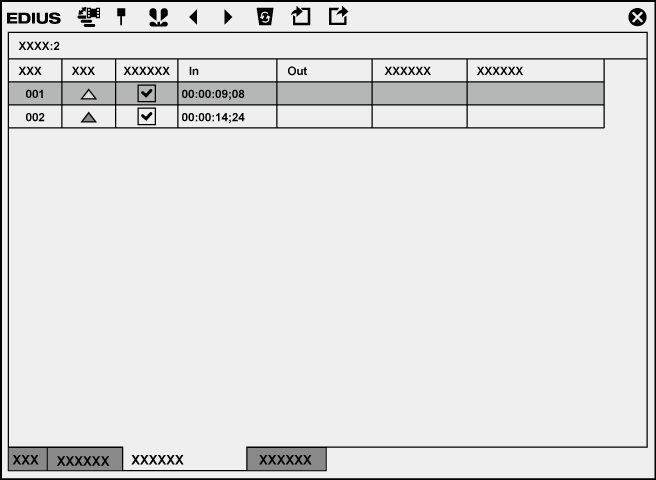 Import or export a clip marker list. Follow the step below to show/hide 3 palettes together. Click [View] on the menu bar, and click [Palette] → [Show All] ([Hide All]). You can combine 3 palettes into 1 palette. All palettes can be combined to the bin window or the source browser window. Every double-click on the title bar of a palette expands and contracts the palette vertically.